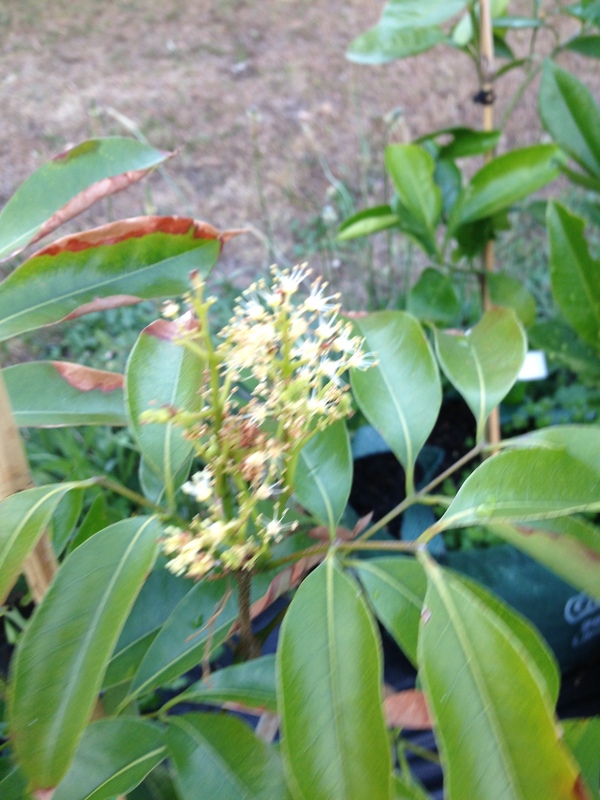 No lychees are not suited to growing in Victoria,. 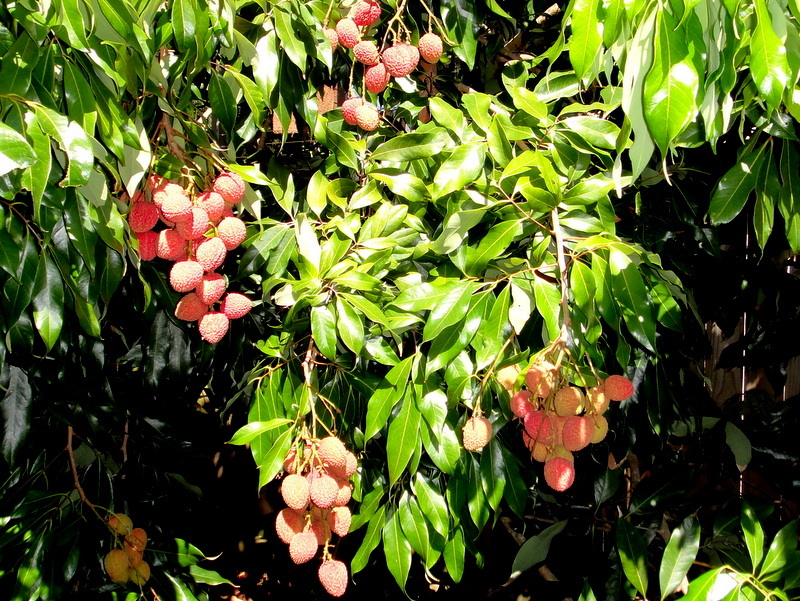 Lychees are suitable to about as far south as Sydney, further south than that you will be better trying a longan which is related and has similar fruit to a lychee but is a little hardier. 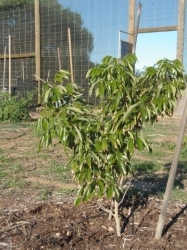 Longans will also require a frost free climate. 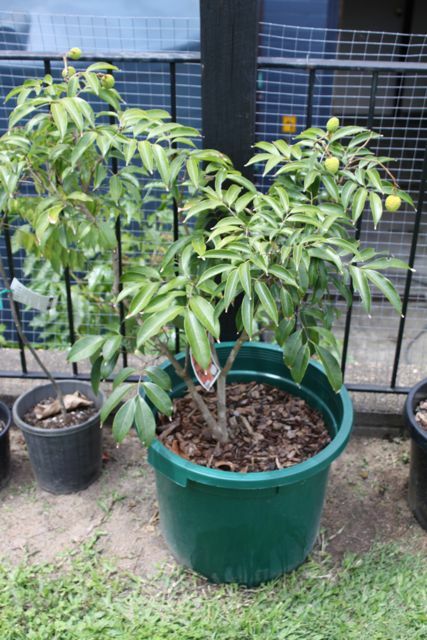 All the lychee trees we sell are marcotted, or air layered. 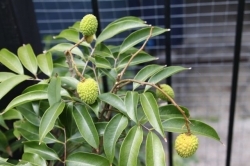 You will need to have a frost free site to successfully grow a lychee and as they are very slow growing make sure you remove all the flowers for the first two or three years until your tree is well established. July 2010 - doing very well. I think it loves the constant subsoil moisture from the Biolytix. Not phased by the scorching summer or wind. 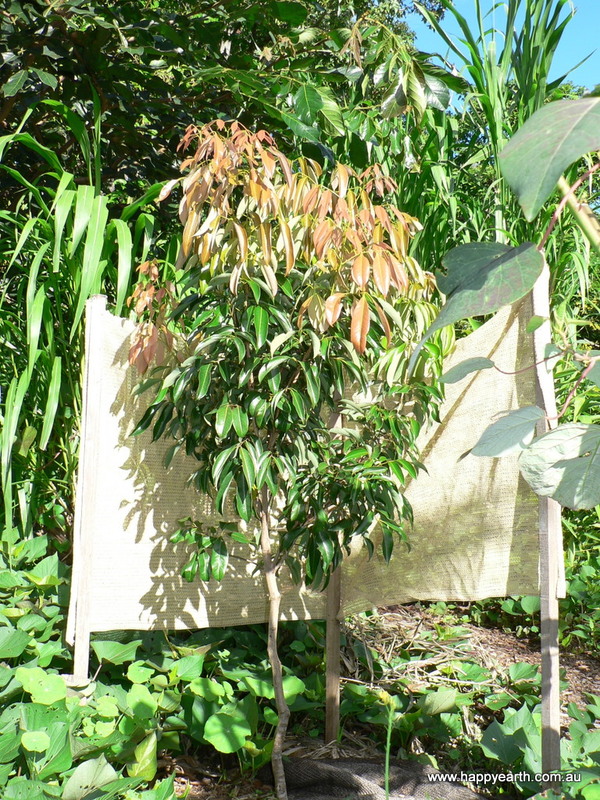 Nov 2010: Now in a 35L tree bag in an enclosed shade house. Has a dozen fruit at present and likes the shadehouse. The ants loved the flowers so I am guessing they did the pollination job. 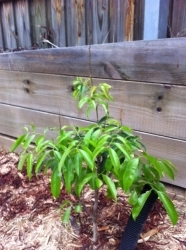 Comments: - Im growing this Kwai Mai Pink (B-3) tree in a pot. Has fruited second year in pot. Very tough compared to other Lychees. This is great, BJ. 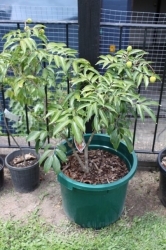 I have a dwarf wai chee in a pot, 4 years old and never fruited (it lost all its leaves for a while last year) in central western Brisbane. It sounds as though Bosworth 3 would be better. 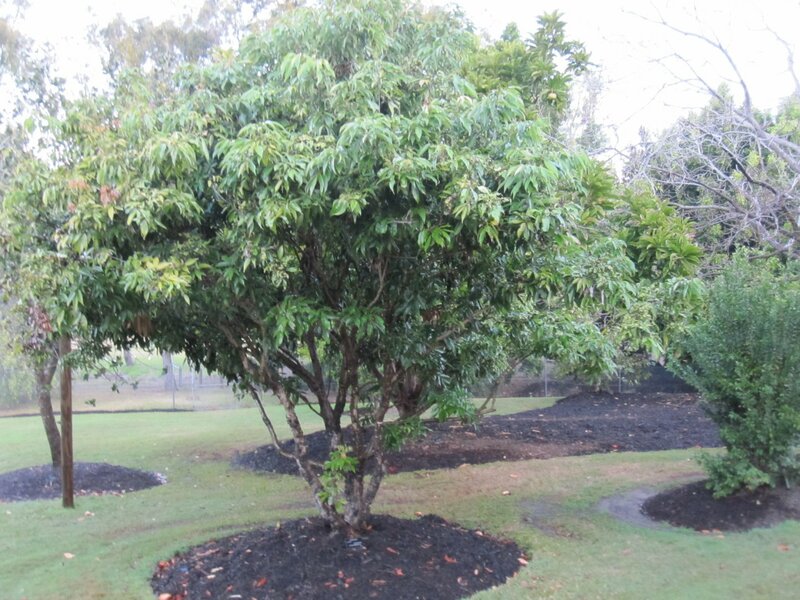 I have heard Anette McFarlane say that conditions for lychee fruiting are right in Brisbane about once every ten years. 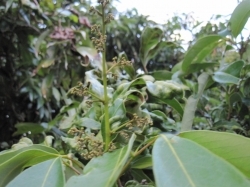 Yes Diana, the B-3 will fruit every year here. 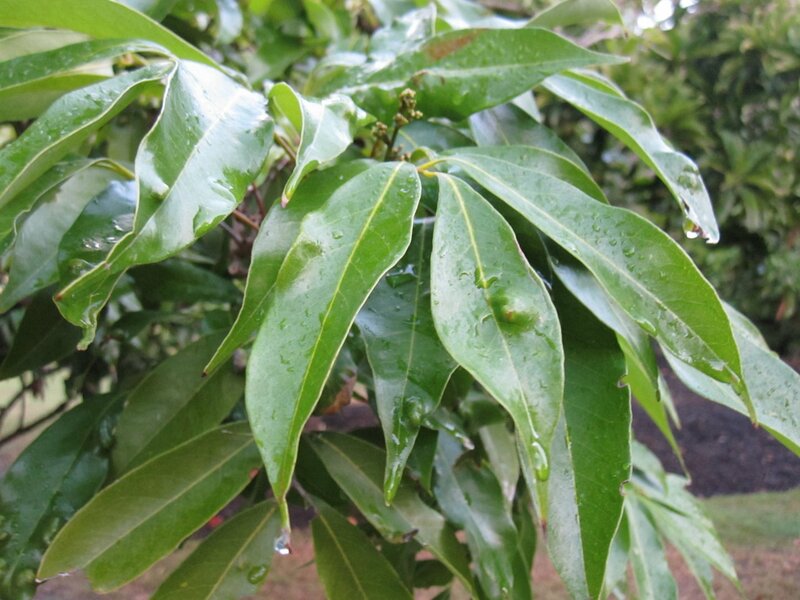 Many others are biennial at best, but B-3 will crop heavily each year, even with heavy pruning at the right times and in a pot if you can keep it under control. 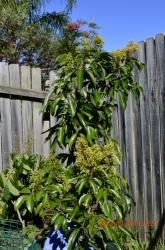 Many other types are unsuited to pots due to their reluctance to fruit after pruning. The other suitable pot specimen is the Salathiel, but it bears biennially, but bears well when it does, and is a much smaller tree with one of the best fruits. Do u recommend it growing in a Pot? how much avg harvest u get/year ? just bought it late Feb this year. 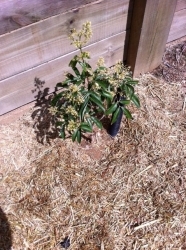 I changed it to a large pot and gave it a light liquid fertiliser, it is now cover in a new flush . August 2012: it sends out new growth every season, set one fruit last year. I fertilise it twice a season: when new growth begin and when they harden. the tree has now double in size since I bought it. 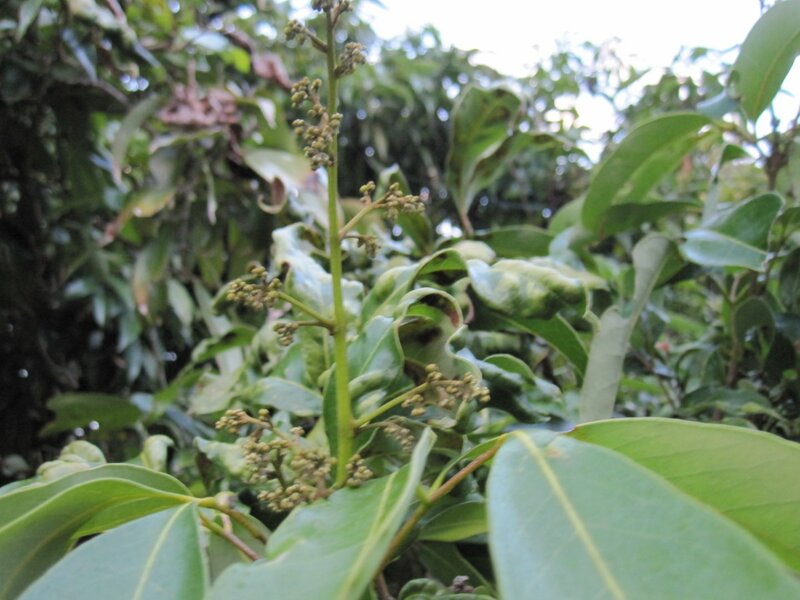 much more flower buds are forming this winter. This is also one of my favourites. Refreshing taste when eaten cold. 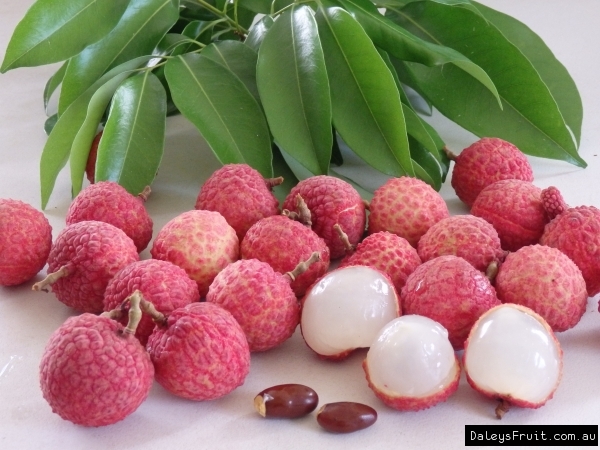 I just love lychees. This tree is only very young and has struggled to get moving. 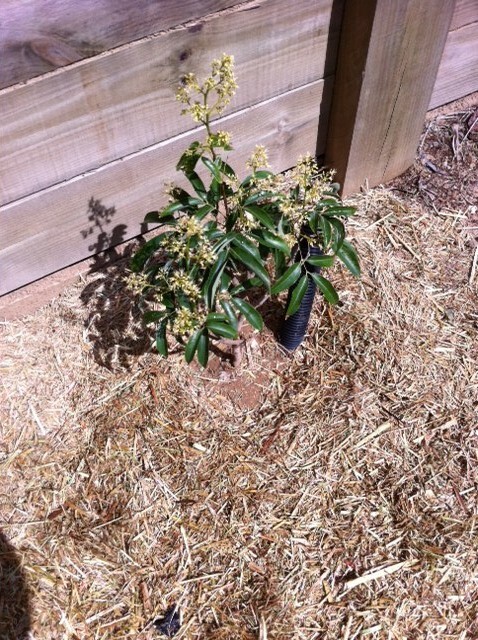 I mulched the tree with mulch purchased from the local rubbish tip and it has taken off. 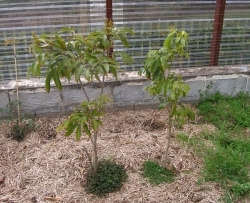 New growth abounding which is a little odd for winter time. All my trees seem to have enjoyed warmer roots. 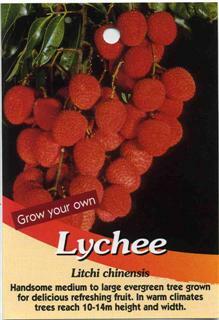 I must admit to have tried a lychee many years ago without success. But they are grown commercially here so perhaps my management wasn't the best. Here's hoping for better luck this time. It hasn't changed in 18 months. It's not happy or sad...just constant. Try seaweed solution now in spring to help kick it along. Might help. Bought it early 2013 from Daleys. Planted it in a pot but due to excessive watering, the plant was slowly dying. 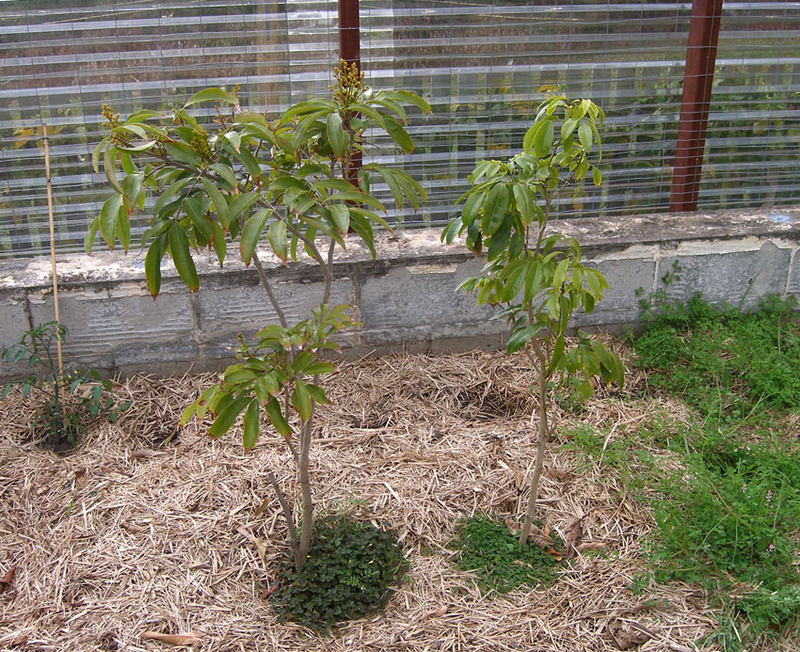 Decided to plant it in the ground in October 2013 and now nearly two month later, it is looking rather pathetic. It still has some green leaves and I am afraid it wouldn't make it in the colder winter months. Two more months and this tree will be one year old altho I don't think it will make it. All the leaves are gone and only the stump, which is about 18 inches, remain. 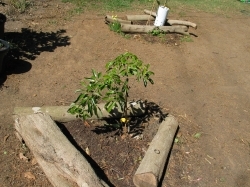 I know the tree is still alive, the stump is green, but dont know how much longer it will last. Hopefully with spring and the summer months coming, it will sprout some leaves :(. This was labelled a Kwai Mai Pink but some say its the same as a Bosworth 3. It will be planted in the ground in time for spring 2015. Seems happy enough so far, no new growth yet. This how now been duo planted in the ground with my Salathiel. B3 is on the left in the photo. 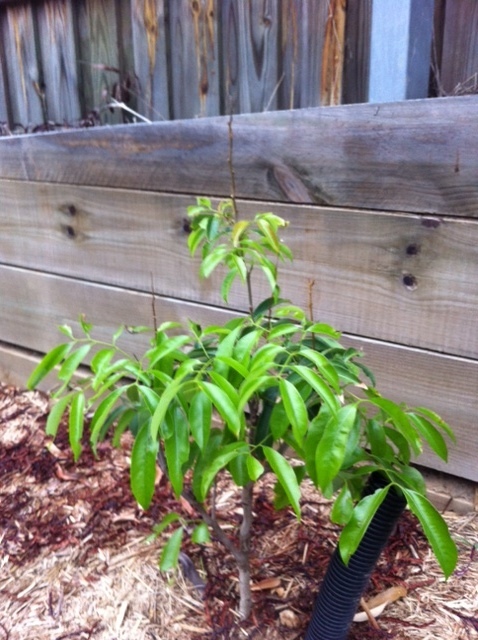 Planted this lychee tree about 5 months ago. New growths are coming out now. 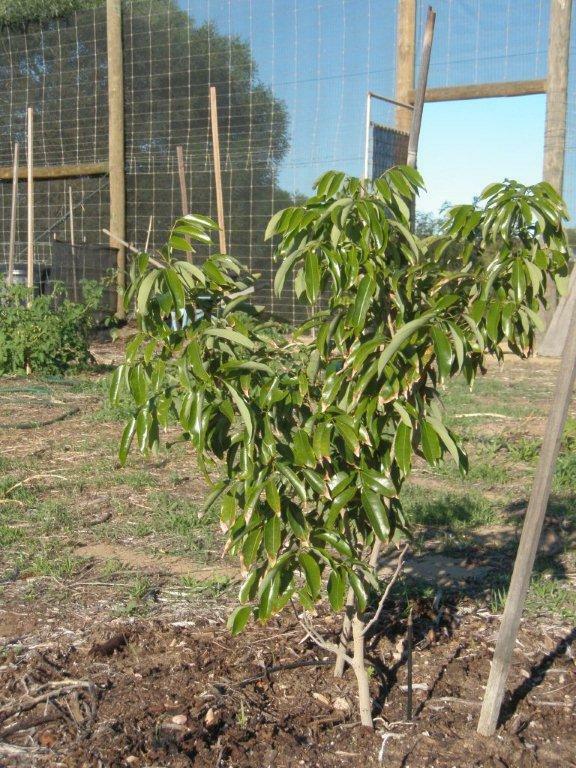 Comments: - We had many lychee trees in South Africa until we moved to Perth. 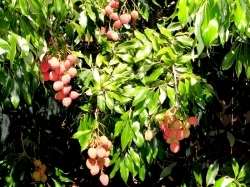 Miss these delicious fruits. Going to plant one in my backyard soon.